We’re A Group Of Highly Driven,Successful Amazon Entrepreneurs.We Think, Learn And Collaborate Together.Do You Want to Join Us? Amazon marketing is not B2B or B2C. It is P2P or peer to peer. This means that personal connections, networking and access to cutting-edge strategies due to Amazon’s ever evolving ecosystem is what makes the top Amazon sellers stay ahead of the game. Will Tjernlund and Ash Monga have built an exclusive network of Highly Successful AMZ entrepreneurs. This was because most AMZ marketers are really cool people with a very healthy and positive mindset and because it made business sense. Thanks to this, a lot of good ideas were traded and several partnerships formed, which made money for all parties involved. However, the ironic part was that while both Will and Ash knew tens or even hundreds of people so far, these people hardly knew each other. So Will and Ash decided to do something about this. They’ve created a unique mastermind with the purpose of connecting AMZ entrepreneurs from all over the world. Now, we would like to bring this mastermind group to the world. It is called AMZ Think Tank. It is an invitation only, exclusive mastermind for Highly Successful Amazon sellers. To maintain a high quality of discourse, one of the requirements is to prove sales of at least $1,000,000 in the last 365 days. 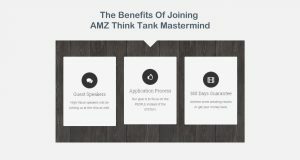 Who can be part of AMZ Thinktank? Our members are highly successful Amazon customers across industry verticals who have built their Amazon businesses using different strategies, such as Private Labeling & Wholesaling to Amazon via Vendor Central. When you bring several million dollar sellers in the same place, you understand something important – we all think in the same way. After all, reaching the level of selling $1,000,000 a year on Amazon is no easy work. It takes effort, perseverance, wits and knowledge. You can earn $5000 on Amazon by luck or with a short-term strategy but for the above milestone, it takes competence. AMZ Think Tank is a place for like-minded people. When people like this get together, friendships are formed. Partnerships are created. Alliances take place. 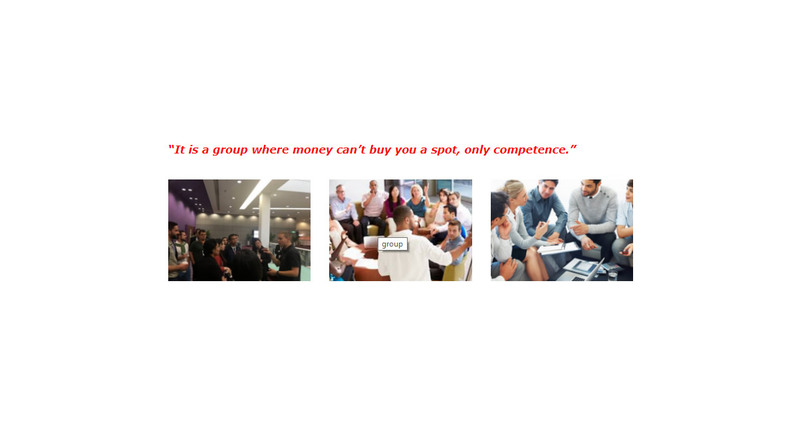 It’s not only about an mastermind group. It is about joining your brothers in arms with a goal to dominate Amazon. When all members are on the same page, you don’t need special tools to make them connect and bond. This happens naturally. We want to spend time with people like us, people we respect and people from whom we can learn. These interactions that lead to friendships and partnerships will happen both online and offline. You’re not among competitors. You’re among friends. AMZ Think Tank is built around the concept of “enlightened self-interest”. This is a simple philosophy. It means that by helping others, you are helping yourself. Instead of seeing other people selling on Amazon as competitors, you are seeing them for who they really are – potential partners, mentors and friends. Amazon is not a zero sum game. If you share a secret with someone else, he’s not going to earn $50,000 and you’ll lose the same sum. Instead, you’ll both win. The market is big enough in 99.9% of the cases that it can support 1000 of operations like yours. In our group, we aim to be a team. We exchange cutting edge strategies before they become public and part of various online Amazon courses. We meet and discuss ideas. We pool resources & connections to take advantage of opportunities that couldn’t be exploited otherwise. We send birthday gifts and we help each other in need. This team is not about being your brother’s keeper. We are entrepreneurs. We want to earn money. Instead, it is about understanding that two smart people collaborating are going to earn more money than competing. Rockefeller knew it and so did every other major entrepreneur for the last 500 of years. We trust each other. We don’t use this platform as a way to get clients or sell products. Instead, we really try to help, knowing that we’re going to be helped in exchange. The 21st century is about the peer to peer economy, in which your network is the most valuable asset you can have. This group is a fertile ground to grow such a network. Are you the right fit for the group? There’s an old truth to banking. Banks will give you as much as you need when you don’t need money. They’ll also not lend you a single penny when you need it most. This is true with our group too. With the people, the support, the information and the opportunities found here, any member can get from $0 to $500,000 with ease. However, we don’t want people who are just starting out, no matter how valuable this is. We are looking for AMZ entrepreneurs that already achieved a certain level of success and are aiming for at least 8 figures. 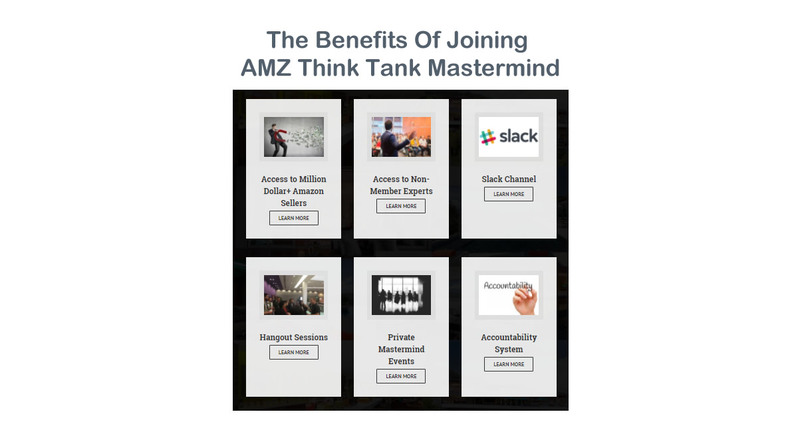 NOTICE: Effective 01.10.2016, membership of AMZ Think Tank Mastermind is invitation only. If you click the link below, you’re going to discover what exactly we are looking for but for rare exceptions, the first 15 members will be invited and only then public registrations will resume. We don't have wiki content for AMZ Think Tank yet. 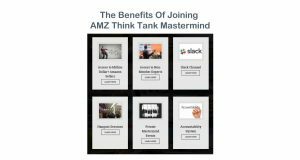 Are you familiar with AMZ Think Tank? 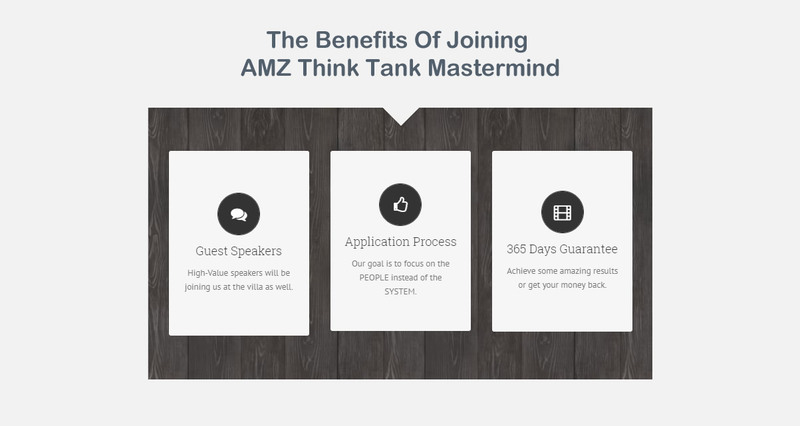 Please quickly share in your own words what AMZ Think Tank is all about! Share in your own words what AMZ Think Tank is all about.